This profile is clean as no additional trucks/mods were installed. Basic trucks & drivers. 43% of the map available and a great profile for someone looking to get modding right away and not worry about money (from DogMan Dan). 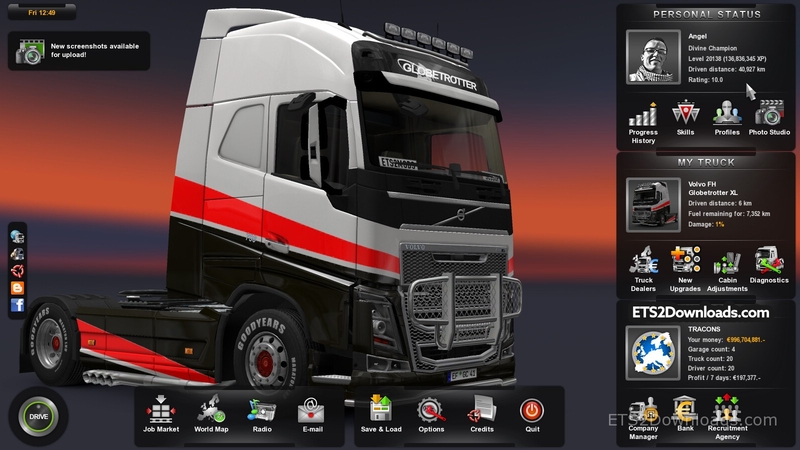 Paste the 416E67656C folder into your My Documents/Euro Truck Simulator 2/profile folder. This profile is clean as no additional trucks/mods were installed. Basic trucks & drivers. 43% of the map available and a great profile for someone looking to get modding right away and not worry about money. Thanks for your great words, updated them in the post!